LeapFrog Musical Mat Just $14.99! Down From $30! You are here: Home / Great Deals / Amazon Deals / LeapFrog Musical Mat Just $14.99! Down From $30! 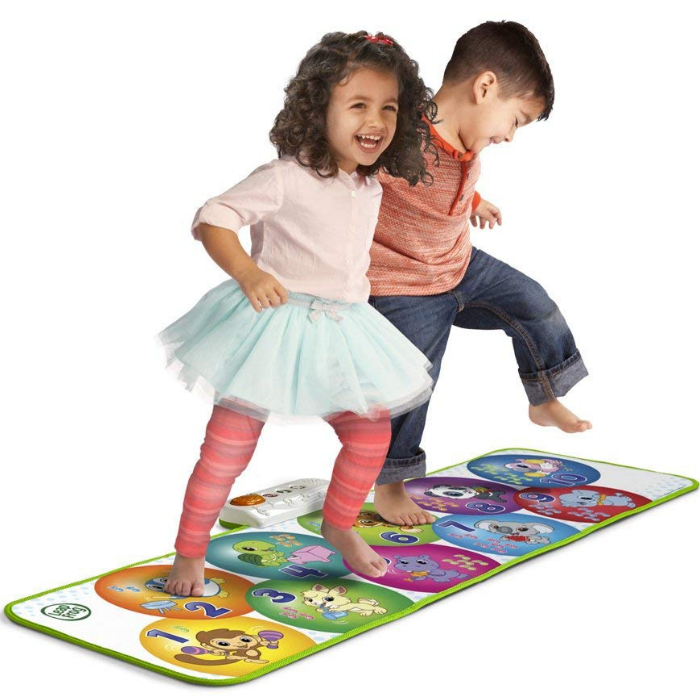 Head over to Amazon to score this LeapFrog Learn And Groove Musical Mat for just $14.99 down from $29.99 PLUS FREE shipping with Amazon Prime or for orders $25 or more! Twist, dance, leap, laugh, count and learn with the Learn & Groove Musical Mat-over 4-feet of interactive playmat for jumbo-sized learning fun. Designed especially for active toddlers, the Learn & Groove Musical Mat keeps little ones moving and exploring with 50+ songs and phrases and 3 ways to play. Little ones can discover numbers, animals and instrument names as they jump around the mat in Explore mode. In Music mode, each step brings instrument sounds to life-kids can jam along to 10 popular melodies or compose their own tunes from scratch. Game mode challenges kids to fly, waddle and more to reach specific numbers, helping them develop balance and coordination as they laugh and play. Twist, dance, count and learn with 50+ songs and phrases. Play 3 ways: Explore numbers and musical instruments, create music and get moving. Over 4-feet long! Jumbo play mat offers endless musical learning fun for active toddlers. Helps teach numbers, music and instruments and gross motor skills. For kids ages 2+ years. 3 demo AAA batteries included.